CAN CIGARETTE MANUFACTURERS BE REQUIRED TO REMOVE BRANDING FROM THEIR PACKAGING? On November 21, 2011, the Australian Parliament passed the Tobacco Plain Packaging Act 2011, requiring tobacco products to be sold in plain packaging without any trademarked logos. Australia’s legislation comes as a result of studies showing that cigarette packaging plays an important role in promoting smoking and encouraging young people to try cigarettes. This legislation deals an expensive blow to cigarette manufacturers who have a substantial investment in their trademarks and packaging. Will other countries follow a similar path? After passage of the Australian legislation, Philip Morris Asia immediately filed a Notice of Arbitration against the Australian government, claiming that Australia’s plain packaging legislation is an indirect expropriation of Philip Morris Asia’s intellectual property and good will. Philip Morris Asia’s arbitration, filed with the United Nations Commission on International Trade Law, seeks the suspension of the plain packaging law and compensation for the loss of the use of its trademarks. Since past arbitral tribunals have been unclear as to what exactly constitutes indirect expropriation of trademark rights, Philip Morris Asia’s claim raises an important issue in international investment law: what exactly constitutes indirect expropriation? Past arbitral tribunals have considered a variety of factors in indirect expropriation cases, including the effect of a state action on foreign investors and the purpose behind the state action. Here, two factors that merit special consideration as to whether the Tobacco Plain Packing Act 2011 constitutes indirect expropriation are: i) whether the law substantially deprives Philip Morris Asia of the economic use and enjoyment of its intellectual property and good will; and (ii) whether the law was reasonably predictable to Philip Morris Asia as a foreign investor. First, since Philip Morris Asia can still sell tobacco products in Australia, it may have to prove that it has been completely deprived of its profit-making ability. Philip Morris Asia’s strongest argument for indirect expropriation under this factor would be that its sales in Australia under the new legislation will fall below the point of any profitability. Philip Morris Asia has offered this argument in its preliminary Notice of Claim. The success of this claim would depend on expert analysis of the cigarette market in Australia regarding the extent to which trademarks and branding impact tobacco sales. As to the second factor, Philip Morris Asia would have to prove that Australia’s legislation was not predicable to foreign investors. Although Australia is the first country to implement plain packaging legislation, it can argue that this concept has a long-standing background. 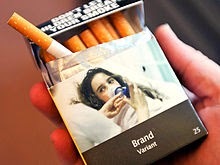 The Toxic Substances Board of New Zealand’s Health Department first recommended plain packaging for cigarettes in 1989. Additionally, a Canadian parliamentary committee recommended its legislature pass plain packaging legislation in 1994. In 2010, the European Commission proposed a revision to Directive 2001/37/EC that would include plain packaging requirements, and in recent years similar proposals have occurred in France, Turkey, and the United Kingdom. Philip Morris Asia’s strongest argument is that when it initially entered the Australian market, plain packaging legislation was not reasonably predictable, even if the likelihood of such regulation later became apparent. Philip Morris Asia could also argue that, because plain packaging legislation was debated for several decades without implementation, it expected that countries would not enact such regulations. Pending the outcome of Philip Morris Asia’s arbitration case, other nations could follow Australia’s lead for future Bilateral Investment Treaties. Consequently, Philip Morris Asia’s arbitration case will be influential not only in defining when indirect expropriation occurs, but also in shaping the future of Bilateral Investment Treaties as a mechanism for international business dispute resolution. As of publication of this blog post, a decision has not yet been rendered in the above-referenced arbitration case. This blog post is based on an article by Peter Isakoff published in Volume 3, Issue 2 of The Global Business Law Review (Peter D. Isakoff, Defining the Scope of Indirect Expropriation for International Investments, 3 Global Bus. L. Rev. 189 (2013)). The full article can be found at: http://papers.ssrn.com/sol3/papers.cfm?abstract_id=2394980. If you would like to discuss a dispute arising in the context of business litigation, please contact Peter Isakoff at (336) 273-1600 or pisakoff@greensborolaw.com.